Is there an Open House? Our I-Day (Open House) will happen on 6.2.2019 from 9:00 to 14:00 at our department. This is the day we introduce Studying at the Department of Computer Science. 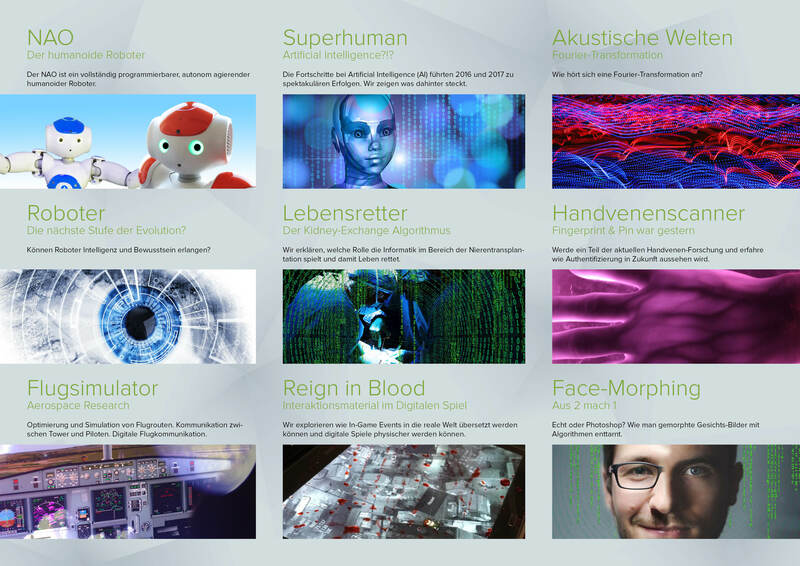 Discover through exciting presentations and workshops all about studying computer science at the University of Salzburg! Food will of course be provided. Additionally there will be a game where you can win awesome prizes. Registration is as simple as sending an email with the number of participants to iday@cosy.sbg.ac.at up to the 25th of January, 2019. Our 2019 i-Day Flyer can be downloaded below.